I've nearly recovered from the huge "Brick 2015" LEGO event which took place in London from last Thursday to Sunday - nearly! - and can say that I had a really great time. It was especially wonderful to meet more New Elementary readers, even some from overseas. The first afternoon was AFOLcon, consisting of a few talks given by fans as well as LEGO Senior Designer Mark Stafford who revealed some of the thinking and the work behind Nexo Knights, the new Castle-meets-Space theme (and TV show) coming in January 2016. There was plenty of chat about the new elements designed for the theme, some of which have a dramatic V-shape which evokes the angular forms of castles and heraldry, whilst also distinguishing the theme from the organic forms of Chima elements. The return of the LEGO® BIONICLE theme in 2015 appears to have been popular, as have the articles about it written for New Elementary by two of the Barnick brothers. I've been slow at posting this review of five summer releases by Andrew Barnick, so the sets are perhaps old news to some, but Andrew's thorough examination of the available parts and the new characters is always a welcome analysis to have! 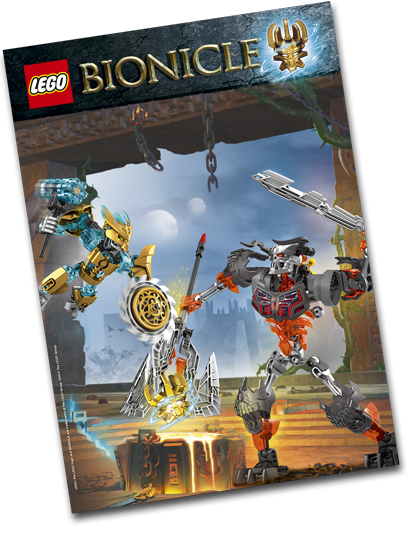 The sets in the 2015 winter wave of Bionicle featured a dearth of foes for the Toa to fight besides the omnipresent Skull Spiders, so a wave consisting almost entirely of larger villain sets was in high demand. 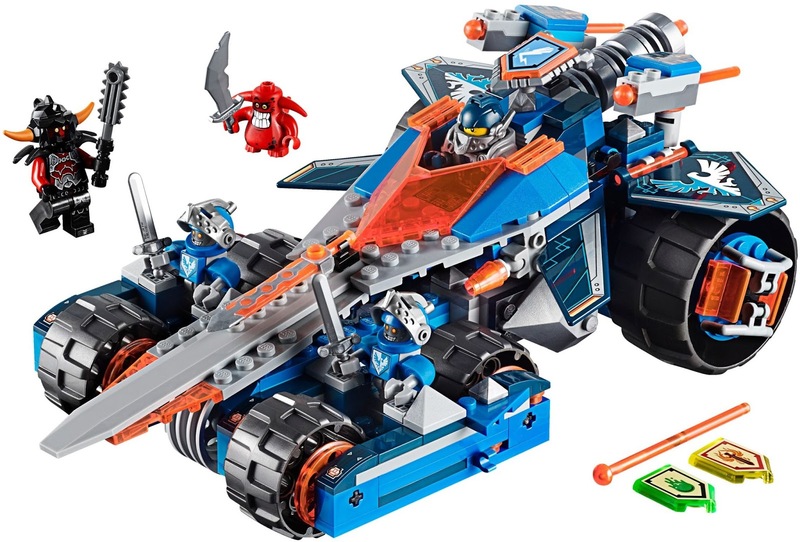 While the Toa sets from the winter wave were all based on characters from the classic theme, the figures from the summer wave all represent brand new antagonists. I’m happy to say that these sets don’t disappoint, either in terms of their builds or their vast selection of new and recolored parts. Read on to get a taste of what these sets have to offer! 2016 will be the ninth year of the LEGO® Architecture theme; quite a remarkable success. It's a theme that I love, in fact it was responsible for the end of my Dark Age, yet I've felt a bit bored by it recently. 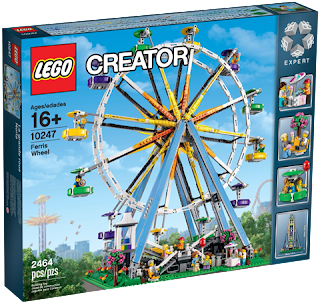 The LEGO Group must be feeling the same, as they are adding something new into the mix next year with the release (in January 1st, I believe) of three sets which take a fresh approach: each includes a number of buildings and monuments from a city, rather than a single building. 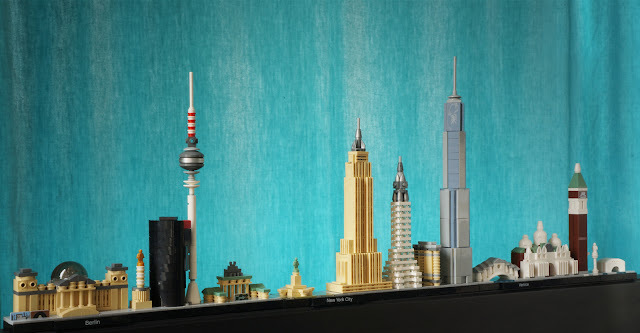 The first three sets represent Berlin, New York and Venice.